A list of buildings excluded from short-term rental activity under the Shared Housing Ordinance. See https://www.cityofchicago.org/city/en/depts/bacp/provdrs/bus/alerts/2016/july/Prohibited_Buildings_List_Affidavit.html for more information on the exclusion process. The Chicago City Code, Chapter 4-17, allows for shared housing rentals to be prohibited or restricted in specified precincts. This dataset shows those precincts for which such restrictions have been requested by voter petition, including those approved by ordinance and potentially those for which an attempted repeal of the prohibition is underway or complete. Current status can be determined from the most recent date. A list of tobacco flavor terms. These terms may be considered, along with other evidence, to determine if a tobacco product is flavored. 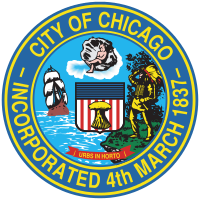 See http://www.cityofchicago.org/content/dam/city/depts/cdph/policy_planning/Board_of_Health/FlavoredTobaccoRules_Final_Dec112015.pdf for the specifics of the regulation regarding restrictions on the sale of flavored tobacco products within 500 feet of schools. A non-exhaustive list of restricted flavored tobacco products is available here: https://data.cityofchicago.org/d/5wce-bks2. A list of flavored tobacco products that may not be sold within 500 feet of a school in Chicago. See http://www.cityofchicago.org/content/dam/city/depts/cdph/policy_planning/Board_of_Health/FlavoredTobaccoRules_Final_Dec112015.pdf for the specifics of the regulation. This list will be updated periodically. A list of tobacco flavor terms that may be used to determine if a product is flavored is available at https://data.cityofchicago.org/d/fkci-tsq8.